If there’s one thing that came sharply into focus this year, it’s that most of the automotive industry has bought into the idea that autonomous and electric cars are the way of the future. Notice I said the word “idea” there—exactly how that future will look, whether buyers will embrace it and how it will make money are all still up in the air. But even if the vision for the future is vague, car companies are shifting toward it. From General Motors announcing an electrified fleet by 2023 to Waymo deploying fully-autonomous cars to Tesla releasing the Model 3, some of the biggest stories of the year stemmed from the sudden onslaught of announcements about electric and autonomous vehicles. There’s been plenty of notable letdowns this year, too. But all told, it’s a wild, precarious time for an industry that’s rapidly working to change itself. How do you divvy up the best and worst of an industry in flux? It’s hard to pick out only a handful of each, but let’s take a shot at it. Electric cars can be a bit of a turn-off for enthusiasts, but there’s innumerable reasons why the electrification buy-in from automakers is a Very Good Thing. The more gas guzzlers removed from the street, for one thing, the cleaner our air quality will be. Countries across the world recognized as much—Britain and France alone want to ban the sale of gas cars by 2040—and the state of California wants to follow suit. Toyota joined in late with plans for more than 10 models by the early 2020s, Ford with 13 of its own around the same time, and Volkswagen wants to drop $82 billion on electric cars. The only way the public might buy into electric cars is if more options are available. Now, we’ll see if it can work. To be sure, for now, it’s restrained to limited circumstances, but seeing Google’s self-driving car project Waymo send truly autonomous cars out into the world is a wild damn thing. It’s the beginning stages of what automakers and tech developers envision for the future—truly driverless cars shuttling people around without any hiccups. Waymo says this winter that participants selected for a pilot program will first test the cars to get around town for work or to run errands. Journalists had a taste of the experience, but it was only in a controlled setting. So it’ll be worth watching in 2018 if there’s an opportunity for non-pre-selected folks to get a shot to experience a ride in the back seat of these cars. Still, it’s a giant leap forward: The robots! Driving around town! It seemed like for years you’d hear about how so-and-so was prepping a “Tesla Killer” that’d knock the highly-leveraged automaker out for good. That’s a flawed idea, but one thing is clear: the startup no longer owns the idea of the modern electric ca. Nissan introduced a revamped Leaf, set in the price range of the Model 3 with similarly automated driving aid systems. Electric car startup NIO introduced a new crossover that surely seems capable of competing with Tesla and its Model X. GM started selling the new Bolt like hotcakes. Luxury automobile makers have cars in the works that could compete with the Model S.
For the longest time the electric car allure was doled out solely for Tesla. Now, there’s competition—and that’s a good thing. If there’s one aspect of the transportation industry that’s ripe for the kind of change that can be delivered by electric powertrains, it’s trucking. With enough charging infrastructure in place, and trucks that can pack enough battery power to withstand long-hauls, the benefits of electrification seem obvious. This year, a slate of competitors trotted out their first such ventures: Tesla’s semi, which on the higher-end can carry a 500 mile range, stole the show in November. But at the same time, Daimler introduced a tractor with a 217 mile range. Bosch has a similarly ambitious project in the pipeline. And Cummins says there should be an offering by 2019 that can hold up to 300 miles of range. Whether trucking companies buy into electrification remains to be seen. What’s your definition of “best”? I’m putting Tesla’s Model 3 here because, quite frankly, it’s hard to believe a company as unusual as Tesla has gotten as far as it has. Tesla—lead by a guy who spends his nights engorging on social media—attracted enough attention to receive a half-million reservations for an all-electric sedan. And by many early indicators, the Model 3 is going to be an impressive vehicle when it finally hits full production devoid of the missteps that have hobbled it early on. If it’s successful, it has the opportunity to turn generations of people onto electric cars. Now, the story of 2018 will be how well they’re received. Tesla was one of the most controversial, notable stories to watch. It’s hard to ignore that. Amid the Model 3 fracas, it introduced plans for a new Semi, which—Musk swears!—will be built in 2019. That’ll probably be a hard deadline to delay because now the company has some of the biggest corporations in the world lining up to order the semis. Beyond that, a new Roadster—as sweet as it sounds on paper—came across as nothing more than a distraction from everything that’s gone wrong with the Model 3 so far. Musk has built himself and Tesla into a wild, Twitter-fueled promise machine. He has a legacy of not living up to his self-generated hype, and this year there was more hype and more to live up to than ever. It’s hard to escape the feeling that he needs to slow his roll, put the phone down, stop revealing new future products and fix the Model 3. Tesla says it’s creating the best workplace in the world, so of course these accusations must be taken seriously. And they will continue to make headlines in 2018. How’s this for a year? After a lousy 2016, this past spring, would-be-everyone-killer electric car startup Faraday Future brought on a chief financial officer from BMW to raise $1 billion. That seemed promising, but it went nowhere. Faraday then abandoned plans for a factory in Nevada worth as much. It found a new home in California, but that didn’t change much: The company lost a fresh slate of executives, and had to deal with renewed rumors of a bankruptcy. The CFO left the company, unable to convince Yueting to step aside as a condition of accepting new funding. Things, to put it lightly, didn’t look good. Yueting now claims to have raised $1 billion, but it’s an unfortunate tale: After three years, Faraday appears no further along then it did at launch—a promising company with a plan, and, it turns out only that. The first quarter of 2017 brought Uber a sea of scandals, mostly due to the leadership of the company’s firebrand then-CEO Travis Kalanick. With its inability to find a way to turn a profit, it was hard to conclude it was anything but doomed. That was only March. Dogged by its frathouse culture and perpetual money-pit status, it’s hard to imagine the entire auto industry racing to catch up to Uber as it sees ride-hailing and ride-sharing as one possible future of cars. Yet here we are. Kalanick’s out now, and the company’s now under a half-dozen criminal investigations, including one stemming from a potentially earth-shattering legal battle with Waymo. Uber has a new CEO now, but you almost have to wonder if he’s ever going to reach a day where he stops uncovering old demons. Back in 2015, Volvo laid out plans for a super ambitious autonomous car pilot program called Drive Me. The idea was that 100 fully-autonomous XC90s would be given to families in Sweden to test out. It was set to launch by the end of this year, but Volvo recently scaled back the concept. 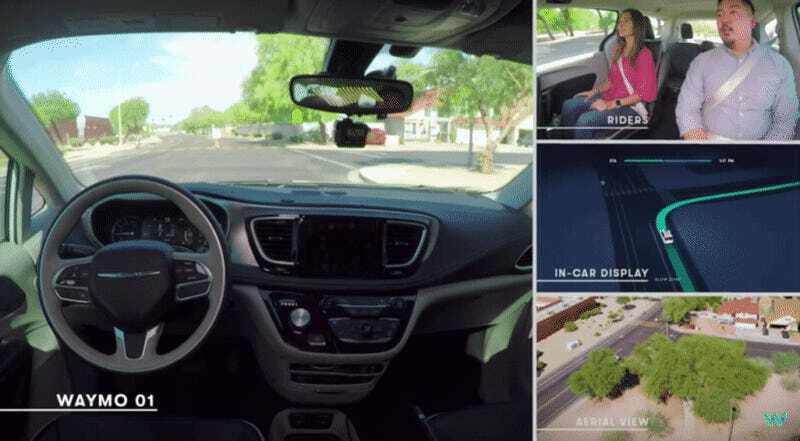 The new plan is far less ambitious; instead of a fully-autonomous car, families will be testing semi-autonomous technologies that require the driver to remain attentive at all times. By 2021, Volvo says, it’ll build up to full autonomy. And it’s not 100 families anymore, it’s just 100 Volvos. In reality, it’s a smart decision. Volvo’s conceding its technology isn’t ready, and that’s smart! What’s unfortunate here is, Volvo’s program was set to be one of the most ambitious in the industry, and it had to rein it in and issue a delay before it even got off the ground. I expect we’ll see plenty of more delays in 2018. It seems like on an every day basis there’s a new, ambitious autonomous car venture being introduced, but 2017 showed that few are willing to ask some of the tough questions: Yes, perhaps the technology can work in limited circumstances—but what if it never catches on? What if it does catch on—but only the wealthy can afford it? What if all they’re ever used for is ride-hailing services? Will we need to ban driving? And what if it just never happens? The stated benefits of autonomous cars are obvious—most drivers are god-awful on the road, so if robots can be perfected, then maybe we can reduce the number of auto fatalities to zero. Which is a good thing! But it seems like the industry’s on a hyperdrive trip, in a dreamlike state, where there’s not much substantive thought to the process, other than This Technology Is Good And We Can Build It, We’re Sure Of It. Hopefully that changes in 2018. Back in 2016, the first crash involving a car that was driving in an autonomous function happened, after the owner of a Tesla Model S struck a tractor. More than a year later, the National Transportation Safety Board weighed in with its conclusion on why that crash occurred, finding that an “overreliance on automation” by the driver, Joshua Brown, played a key role. That’s a problem. Companies are racing ahead at breakneck speeds to introduce automated driving to the world, on some cars that we might be best served to never see on the road. The NTSB’s findings left a stark mark on the automotive world: the industry wants to push out fully-autonomous cars, but there’s a wide gulf between what’s possible now and that driverless world they dream of. How much control can we cede to robots in the meantime? It’s a daunting question, and this year showed that automakers still have yet to grapple with it. Have any stories you think I should chase in 2018? Drop me a line at ryan.felton@jalopnik.com.